Grassroots outreach is gaining popularity as companies of all sizes embrace the power of social philanthropy. “Grassroots outreach is gaining popularity as companies of all sizes embrace the power of social philanthropy,” according to Sunny White, CEO of Xavier Creative House. Sunny infuses XCH corporate outreach with evocative design while partnering with 5.2 million activists around the world through the mustached themed Movember Foundation to support men’s health issues. The Movember Foundation is the only global charity focused solely on men’s health. Since 2003, the foundation has encouraged the unimpeded growth of facial hair during the month of November and empowered millions of men and women to join the global men’s health movement. Through the mustaches grown and the conversations generated, the Movember Foundation has raised over $710 million and helped fund over 1,200 breakthrough men’s health projects in 21 countries. Xavier has contributed $250 to the Movember Foundation and is encouraging others to donate via its profile on the Movember Foundation website and a themed viral digital awareness campaign across social media channels, including Facebook, Twitter, and LinkedIn. 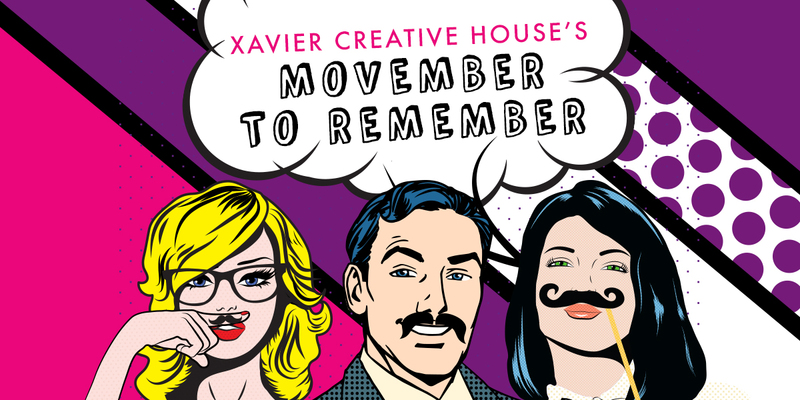 Throughout the month of November, Xavier will post information about the Movember campaign and photos of its staff donning mustaches in solidarity with the cause. Those interested can track Xavier’s progress or get involved by following the hashtag #MOwithXCH. Every company that joins the cause received a post profiling their business along with their own headshot adorned with a digital mustache. The statistics regarding men’s health issues are startling. One in seven men will be diagnosed with prostate cancer in their lifetime, making it the second most commonly diagnosed cancer in men. The number of men who have contracted testicular cancer has doubled in the last 50 years, and it is the most common cancer in young men aged 15 to 34. Statistics also show that on average, men are three times more likely than women to take their own life, highlighting the urgent need for targeted mental health awareness and support.